When Jagadish Chandra Bose ignited gunpowder and rang a bell at a distance using millimetre range micro-wavelengths, or when Guglielmo Marconi conducted his wireless signalling experiment on Salisbury Plain, little did they realise what the future held in store. A hundred years later we have moved on to much faster mediums but the name ‘radio’ stuck all along. First it was AM with a huge wire-mesh antenna. Then came a transistorised version of the same. Much later came the age of FM and digital radio. And then crept in another medium called the internet. Circa January 2008. Five persons were closely huddled at my Kolkata home. I had just broke the thought of setting up a Bengali internet radio station and the idea was received with unanimous approval. The brainstorming had begun. It was supposed to be just another typical adda session. The evening was rather warm as winter in Kolkata is a rather misnomer compared to what I am used to at my workplace in London. But every time I nudged to turn on the AC, I was promptly turned down. As the evening rolled on over endless cups of teas and telebhaja—two ingredients sans which all Bengali addas are incomplete—the modalities were worked out. Two of those present that day, are still there with RadioBanglaNet. Soumendu, of course, has been with me since the beginning. Prabuddha, after a pretty long hiatus, is back in the fold and it’s now a reunion of sorts. With the plan in place, two more friends joined in. Manikda (Dey) and Mitudi (Bidichandani) have been the biggest support system of RadioBanglaNet and together it has been a great journey so far. 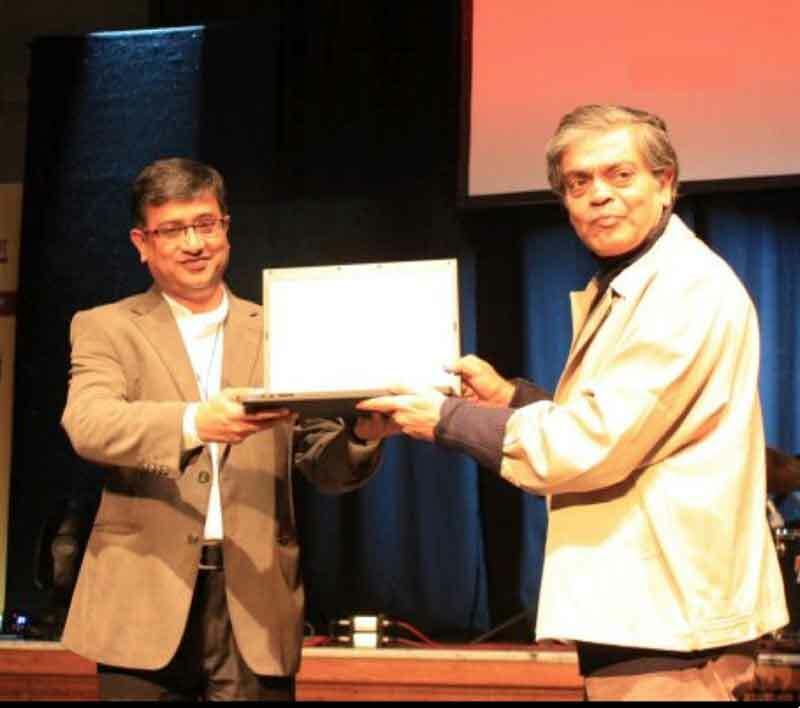 Dry runs, followed by informal broadcast, started in 2008 and RadioBanglaNet was officially launched on 21 March, 2010 by filmmaker Sandip Ray at Bilaat Bangla Utsav, with more than 2,000 people in attendance. Ever since it first went on-air, RadioBanglaNet has reminded the expatriate Bengali audience of their home through music, artiste interviews, film reviews, chat shows, events, audio books and much more. The channel, today, is also available on iPhone and Android. We have overhauled our website which is now fully responsive with the player appearing independently at the bottom of the screen, irrespective of the page you browse. It has now been rebranded as a features and entertainment portal. Over the years, RadioBanglaNet has been associated with several prestigious events in the UK and US. We have been the official internet radio partners of Nashville Bango Sammelan, Manchester Milan Mela, the US Ananda Utsav and many Durga Pujas abroad. RadioBanglanet has also organised independent events like the UK Bengali Film Festival 2017. We are proud of our presenters, and largely through their efforts, RadioBanglaNet today has more than 100,000 listeners spread across the globe.